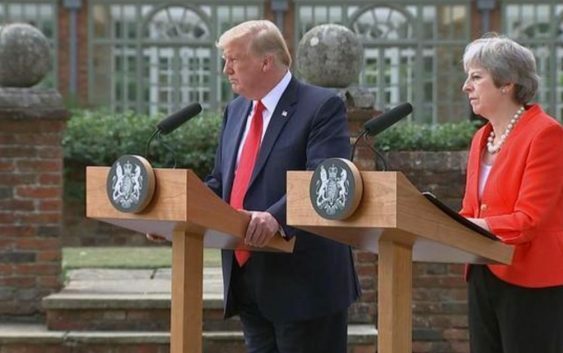 President Trump and British Prime Minister Theresa May held a joint news conference at the prime minister’s country estate, Chequers, on Friday and addressed a wide range of topics including Mr. Trump’s upcoming summit with Russian President Vladimir Putin, immigration, and the explosive comments he made about May’s Brexit plan to a British tabloid newspaper just one day before their meeting. 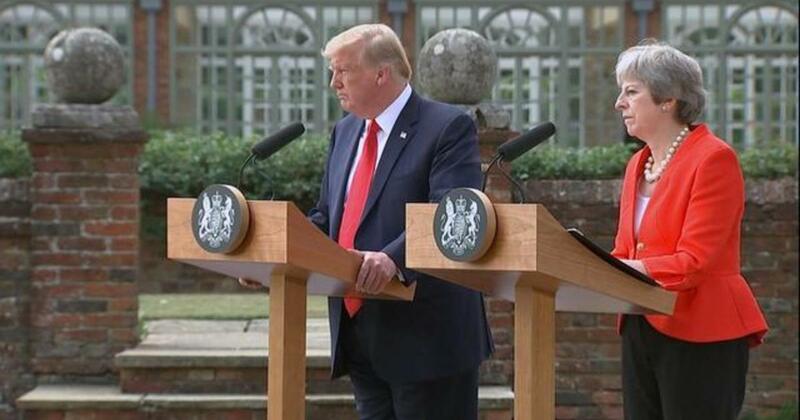 In that interview, President Trump said he thinks Boris Johnson, the Brexit booster who resigned as May’s foreign minister this week, would make a great prime minister. And he warned that Britain’s trade relationship with the U.S. could be in jeopardy if May follows through with her “soft” Brexit blueprint. The president, however, did not back down from the controversial comments he made about immigration in the Sun interview, calling the influx of migrants a “very negative thing for Europe” during Friday’s remarks. Trump followed a similar pattern at this week’s NATO summit by slamming U.S. allies at the outset but ultimately claiming NATO was stronger than it was before. Even if his criticism of May were part of a negotiation strategy to achieve a better trade deal with the U.K., as Brennan pointed out, that’s not even on the table yet. Ahead of his highly anticipated summit with Vladimir Putin in Helsinki on Monday, Trump said he would “absolutely” bring up Russian meddling in the 2016 presidential election. He also said he is interested in coming to a nuclear agreement, but was unclear about what that means.